It is fair to say that the adage “the more things change, the more they stay the same” does not apply to leadership. 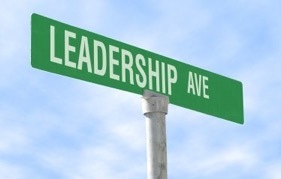 The trends in leadership practices has actually been shifting significantly; from leaders assuming the sole decision-making role based on the premise that front line workers lacked business acumen, to leaders relying on their talented workforce for innovation and insights. Given the number of theories, the amount of jargon, and marketplace challenges, this shift has been a rocky one. We all know it is hard to change a tire on a moving car. Yet, NASCAR demonstrates there are opportunities when synchronized teams are trained to work together successfully. This caliber of engagement is surfacing in the business world to varying degrees as the leadership mindset evolves. Henry Ford’s statement “Why is it every time I ask for a pair of hands, they come with a head attached?” echoes the early leadership mindset that employees were primarily a manual resource. The TELLING mindset sought to separate the doers from the thinkers based on the assumption that leaders understood what was best for the organization to thrive—and that the rank and file could not see the big picture or understand key issues. As work became more complex, high levels of motivation and alignment became essential. Thus, a new practice of SELLING surfaced using goals and strategies to orchestrate activities. Vision statements offered a bright future or cautioned that there was threat to the organization’s survival. During his tenure at GE, Jack Welch effectively employed “vision” to capture market share or to leave a market where the firm was not a major player. Global competition, technology, and a recession shifted leadership practices away from aspirational goals to key metrics. “Quality,” “six sigma,” “supply chain,” and the “balanced scorecard” required front line workers to monitor, analyze and report their personal and team progress (TRACKING). The front line’s contributions to improving systems and identifying opportunities became essential in reducing cycle time, improving quality, and streamlining processes. However, with metrics calibrated for maximum productivity, there was little time for initiative or innovation. With inefficiencies addressed and costs reduced, leadership approaches veered toward innovation and growth opportunities. To spur originality, initiative and out-of-the-box thinking, attention turned to engagement based on trust, talent, pride, and goal achievement. While the emphasis on these current trends in leadership are evident in every CEO survey, success has been elusive, partially due to the false assumption that leaders can compel or require personal passion and partnership. If you’ve ever watched a Formula One pit crew service a car in 2.05 seconds, the power of passion, partnership, planning, and commitment is evident. But that level of performance cannot simply be mandated. It requires trust, training, and recognition. Today’s organizations recognize that success cannot be achieved by Telling, Selling or Tracking. Like a well-oiled pit crew, they require a new level of engagement across functions and levels. Instead of a leadership tactic that puts the leader over others, it is leaders who must work with others. We must commit to the concept that everyone adds value and contributes to the end result when they are given the opportunity.